You’ve probably forgotten entirely about Quicksilver, and that’s too bad. The now-free Mac launcher is much more capable than Apple’s Spotlight Search More Efficiently In Mac OS X With Our Top Spotlight Tips Search More Efficiently In Mac OS X With Our Top Spotlight Tips Spotlight has been a killer Mac feature for years, with Cupertino regularly schooling Redmond in the art of desktop search. Here are a few tips to help you find more on your Mac. Read More – and in many ways better even than Alfred, the launcher that dominates the third-party-app-launcher scene 9 Awesome Alfred Workflows I'm Loving [Mac OSX] 9 Awesome Alfred Workflows I'm Loving [Mac OSX] Alfred is a task launcher for Mac OSX - hit a shortcut, start typing the name of a file, folder, contact, application or search term, and bam - there it is. Since version 2, the... Read More these days. Software that’s easy to use out-of-the-box is wonderful, but so is software that rewards you for digging. Quicksilver is the best kind of rewarding software. The more you dig into this seemingly simple app the more you realize it can do – and the more you want to learn more about how to use it. Quicksilver, first released in 2003, was long considered the best Mac launcher on the market. Lifehacker’s Adam Pash wrote several widely-read tutorials back in 2007, and developers made all sorts of plugins. The previously proprietary program has since become open source, yet somehow also faded into obscurity. Users today are more likely to use Apple’s improved Spotlight, or another third party launcher. Just because something is old doesn’t mean it’s not great, as Quicksilver’s been teaching me this month. Here’s what I found out, starting with a look at the competition. Later this month El Capitan will introduce new features to Spotlight, letting anyone search for real-time sports scores (searching a team name brings up scores and a schedule) or bits of information from the web (“Weather in Berlin”). This, combined with a natural language processor that lets users search for things like “documents I worked on in March” and get accurate results, means the default launcher that comes with OS X is pretty great at this point. But there’s one weakness: there’s no plugin system, meaning Spotlight can only do the exact things Apple programs into it. 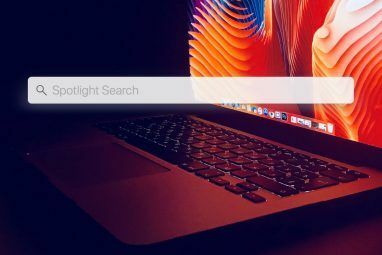 Of course, a program called Flashlight Add Superpowers To Spotlight With This Unofficial Plugin System Add Superpowers To Spotlight With This Unofficial Plugin System Bring Google, Wolfram Alpha, the weather and just about anything else to Spotlight. Read More basically amounted to a user-made plugin system, but El Capitan is going to break this and other customizations El Capitan Means The End Of Mac Themes & Deep System Tweaks El Capitan Means The End Of Mac Themes & Deep System Tweaks If you like customizing your Mac, Yosemite might be the last version of OS X that works for you. And that's too bad. Read More . That leaves anyone who wants their launcher to do specific things, like add a date to their calendar or open a particular file with a particular app, looking elsewhere. For this reason, Alfred is probably the best-known Mac launcher. The free version has basic functionality, and the paid PowerPack lets you use hundreds of fan-made plugins to do all sorts of things 9 Awesome Alfred Workflows I'm Loving [Mac OSX] 9 Awesome Alfred Workflows I'm Loving [Mac OSX] Alfred is a task launcher for Mac OSX - hit a shortcut, start typing the name of a file, folder, contact, application or search term, and bam - there it is. Since version 2, the... Read More , including tie into services Apple competes with. Seeing everything that Alfred with PowerPac can do — and that’s a lot — why would anyone still use Quicksilver? Here’s why I think Quicksilver is an improvement. Spotlight and Alfred are both, at their heart, search applications: you type a query, then hit Enter to pick a result. Quicksilver does search too, and you can just hit Enter if you want to open it. But the real magic happens when you type a query and then hit Tab. In the above example, as you can see, I’ve searched for the very document you’re reading now. I could have hit Enter, and opened it with the default editor, but if I hit Tab I can opt to instead use the Open With action to pick a different program for the job. 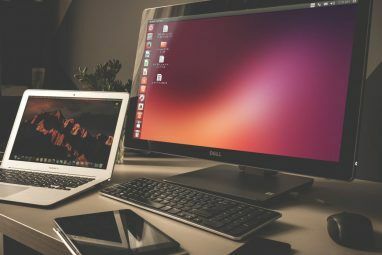 If you’re the kind of person who uses different programs for different parts of your workflow, it’s not hard to see how this might come in handy. But it’s not just for work. I prefer using Vox to iTunes Stop iTunes From Taking Your Media Keys Hostage: Use Vox Instead Stop iTunes From Taking Your Media Keys Hostage: Use Vox Instead Stop iTunes from launching, and use your media keys with a program you don’t hate. Here’s how. Read More , and Alfred lets me quickly play any folder of music in Vox. Play with this long enough and you’ll be able to do just about anything with your files in just a few keystrokes. Like I said: you’ll need to take some time to learn what’s happening, but once you do you’ll be able to do just about anything. Plugins: there aren’t nearly as many here as there are for Alfred, but the ones that do exist can do a lot. For example, the Web Search Plugin adds a quick way to search over 500(!) websites, and you can also add your own. There are also tools that integrate Evernote’s notebooks and notes, or the bookmarks in your favorite web browser. You can even quickly add something to your Calendar, or manage your clipboard. You’ll find a number of prominent plugins were recently updated, so don’t worry if you’d assumed nothing Quicksilver-related is still being maintained. There are all sorts of things to explore here. Even better: all of these plugins are tied into the sentence structure discussed above, meaning that with time you can learn to do all sorts of things with it. Once you get used to things, you’ll wonder how you used you Mac without it. If you want your software to behave exactly the way you want it to, Quicksilver is bar none the launcher for you. The sheer depth of Preferences offered can be intimidating, but for a power user there’s nothing better. But the real customization offered is over the functionality of the app itself. You choose which folders and files are searched, and which are not. You can turn actions you don’t find useful off, and potentially create your own. You can create keyboard shortcuts to trigger any sentence Quicksilver is capable of, and I haven’t even mentioned the AppleScript support. 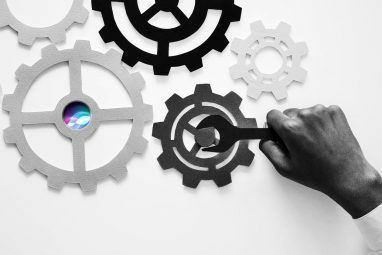 There’s seemingly no end of what you can make this application do – it’s just a matter of taking the time to set things up. 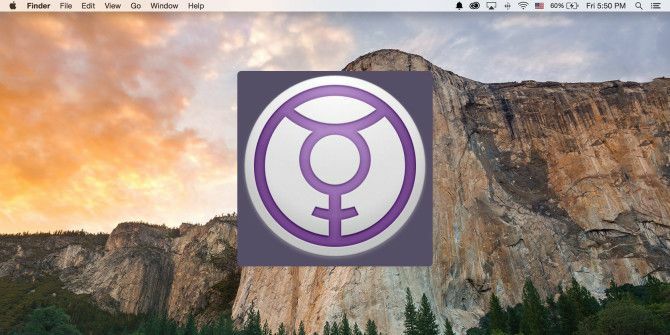 You might not think much of this, but Quicksilver is totally open source – unique among Mac app launchers. This means that, even if the current developers move on from the application, there’s a chance it will live on – provided someone is interested enough to maintain it. This also means you can head to the Quicksilver project on GitHub and see how work on the project is progressing. You can read what the developers are working on, and see if other people are reporting the same issues are you. You can read a blog full of Quicksilver tips, or read through the Wiki. There’s still an active community out there rallying around this app, actively working to maintain Quicksilver’s compatibility with future versions of OS X. It’s something that won’t matter to everyone, but it’s important. I’m really sad that El Capitan breaks Flashlight and its variety of plugins for Spotlight,a But in a way I’m glad that change re-introduced me to Quicksilver because I’ve found it to be better in many ways. Is Quicksilver a worthwhile launcher, or is it too complex for your tastes? What do you use instead? I tried Quicksilver, Alfred, Spotlight, and Launchbar. For day to day productivity and efficiency, I strongly prefer Launchbar. Quicksilver does indexing in a way that too often slows down my computer - a top of the line MacBook Pro 15" with retina display. Essentially it uses the file system too aggressively - which slows other apps. Launchbar - the app that the original Quicksilver developer recommended when he stopped development of Quicksilver - works simply better when it comes to searching for documents, launching apps, or selecting documents then tabbing to select an action for the document. I've seen quicksilver power users do an incredible job with it. I don't end up doing that. I use it for the basic tasks you've noted above. Any tips on how to get better at QS and unlock its full potential? I think that could be an entire article of itself, but as with any piece of software like this you've just got to hack at it. There's a lot of flexibility, but you've got to spend time with the configurations to make use of it. you've convinced me to go back to quicksilver my first love. i switched to alfred after google QSB and i'm sick of missing some advanced features, triggers like mouse gestures and "piping" advanced actions. even the clipboard manager was better. Give it another spin and let us know how it goes! Unfortunately it crashed after setting up the Clipboard History plugin, I almost wouldn't expect it to work perfectly after so long and I wish I could contribute right now to make it better, but it seems most of the community has left for Alfred. Hey Rajarshi, I use Quicksilver and the Clipboard plugin since 2012 and it works like a charm. Maybe you could submit an issue on Github: https://github.com/quicksilver/Quicksilver/issues; the team is usually very responsive.